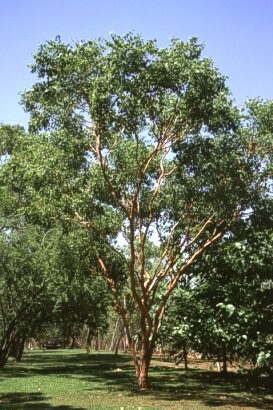 A nice-looking tree with orange bark, but I forgot it's name. Our tour guide called it typical for the area (photographed in Katerine Gorge), but if fact I don't remember a single more tree looking like this. Still, it's a fairly good example for the mostly light and easy look of Australian trees.